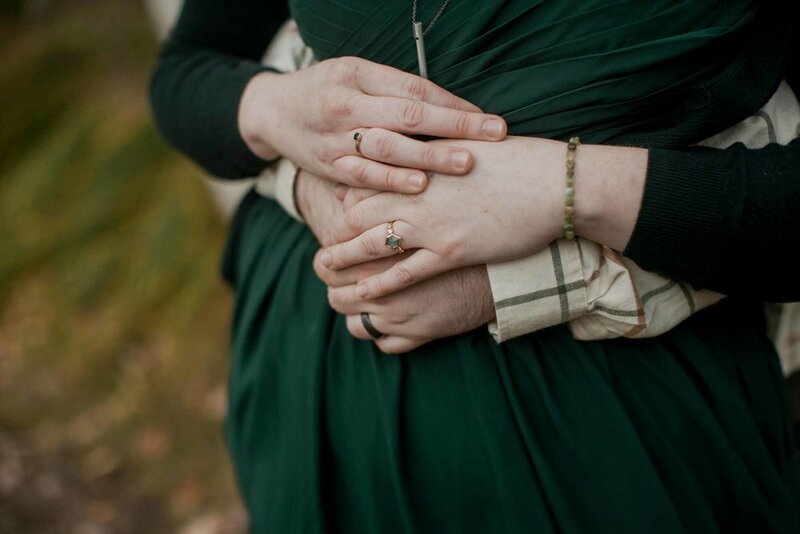 If you’ve been following my work for a while, you know I have a very soft spot for brides in green dresses and the partners who recognize the special magic in these women. 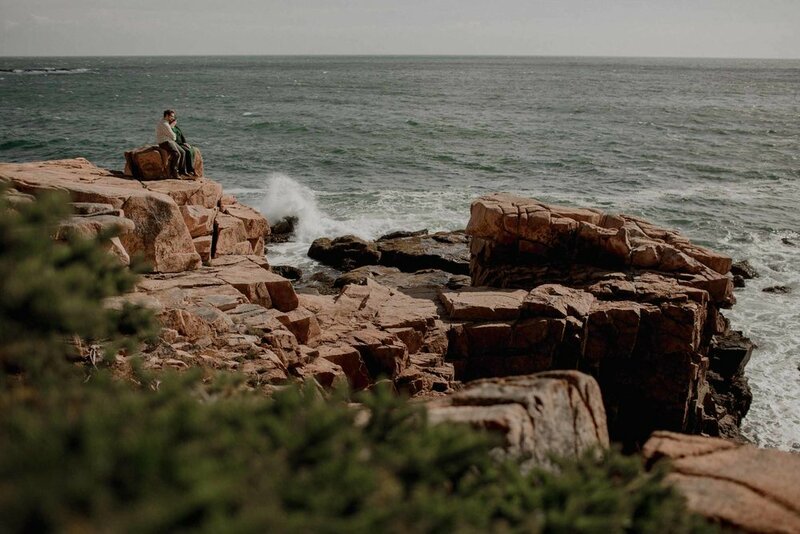 It is no surprise then that Britney and Evan’s elopement is one my favorites ever. 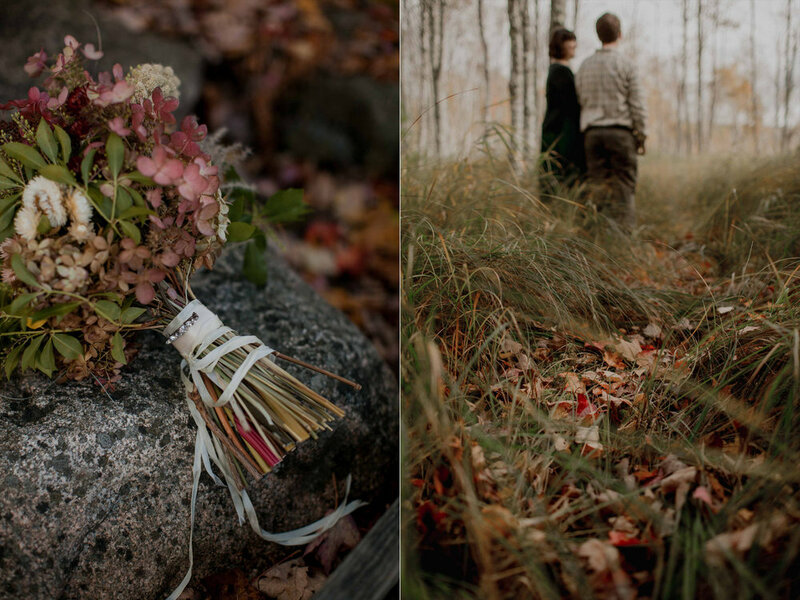 Because I’m the kind of wildish person who will notice a single strand of coyote hair clinging to moss as I walk through the wood, or see the glint of a broken damselfly wing as it flickers on the leaves, I feel an instant connection with folks who care about the details and feel the spirit in certain carefully crafted objects. 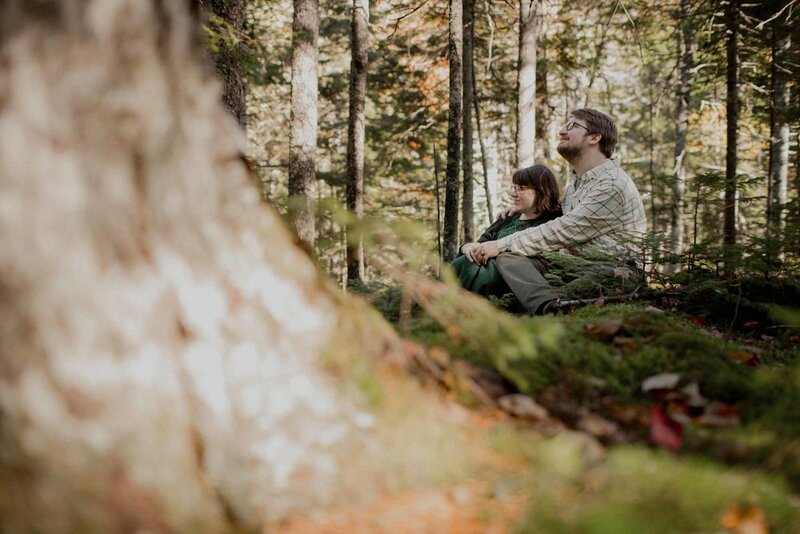 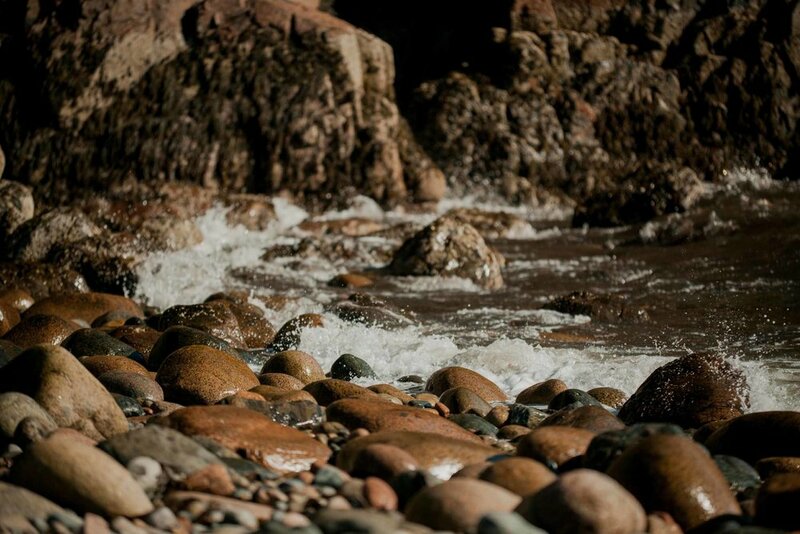 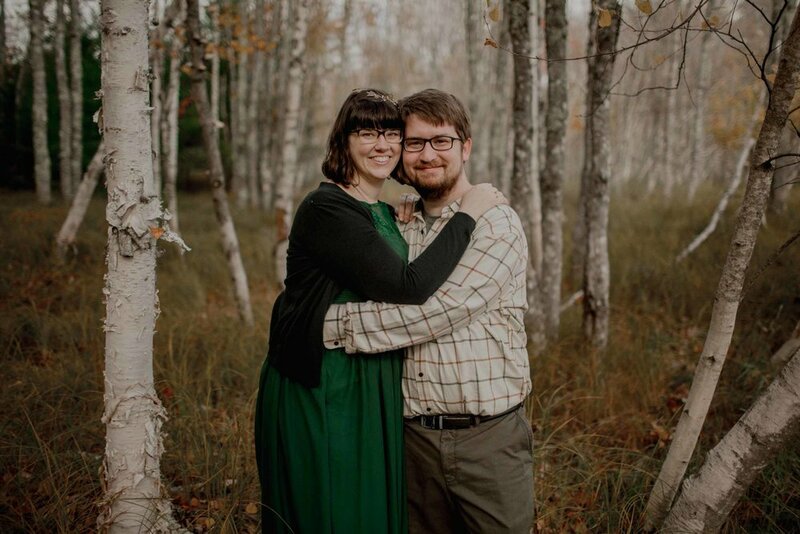 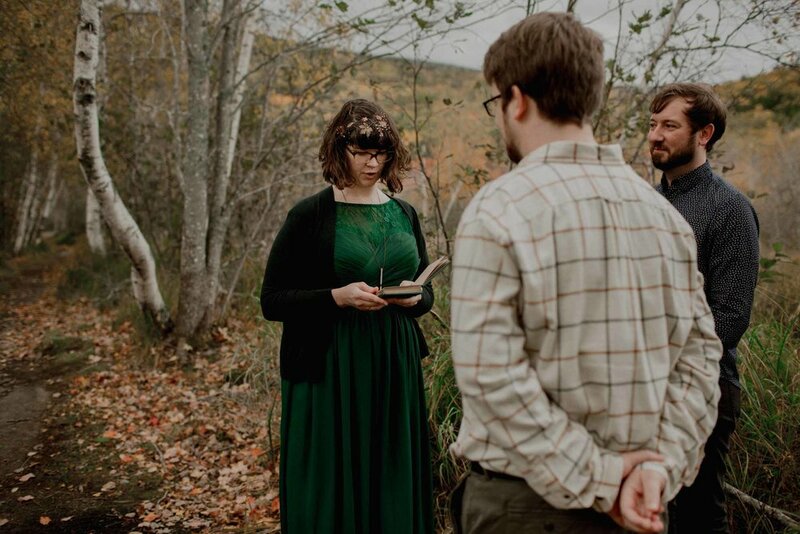 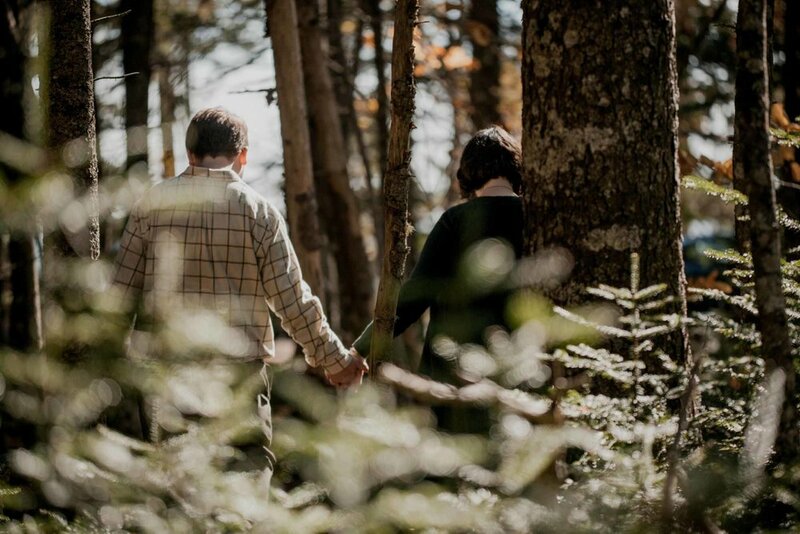 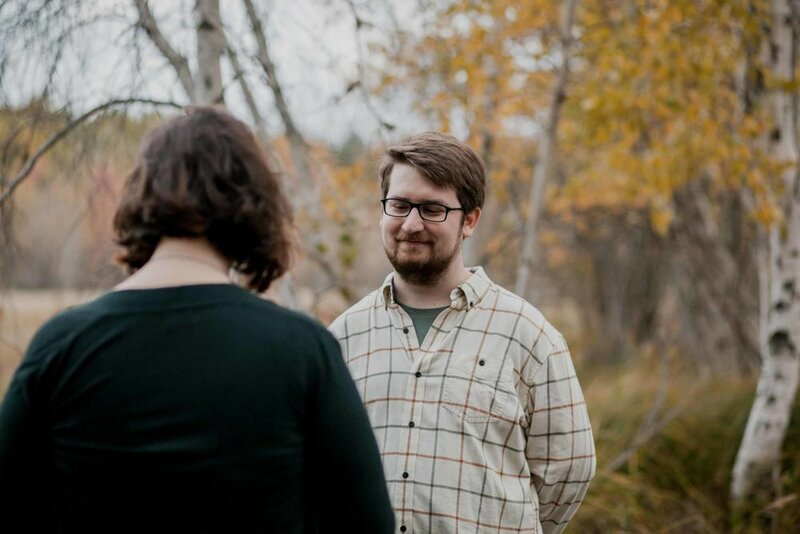 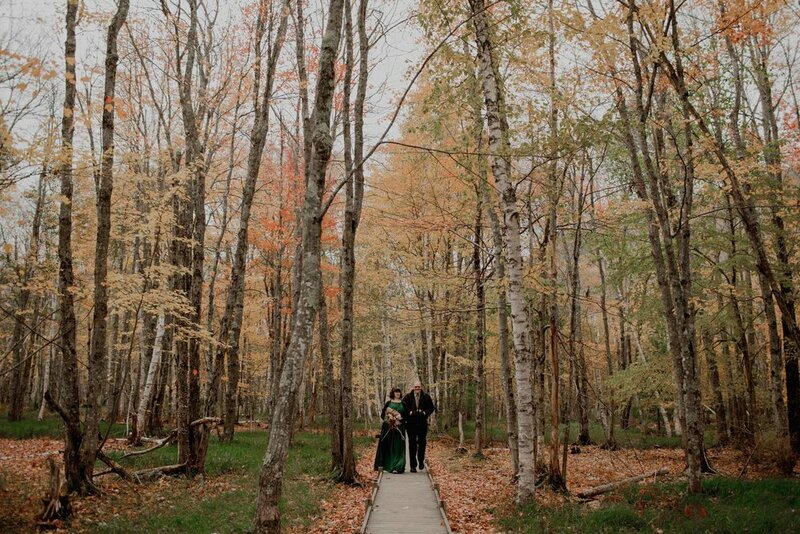 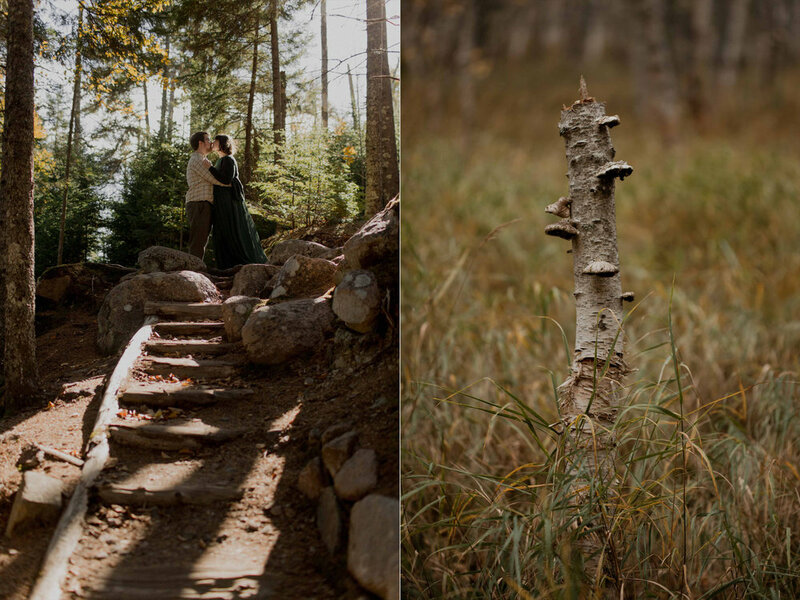 Britney and Evan are two shy, darling souls who met in art school, fell in love, and decided to travel from Ohio to Acadia National Park to get married in a tiny ceremony with just their closest family. 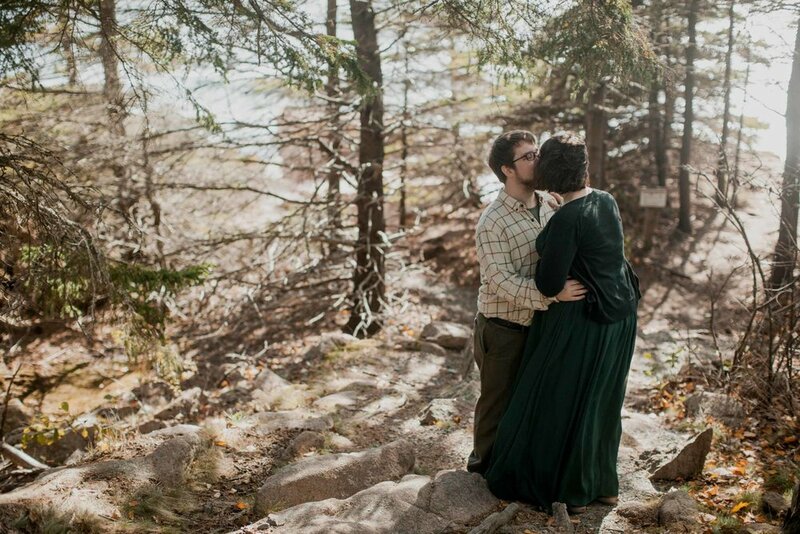 They chose an intimate spot to say their vows away from the crowds of tourists, and then we explored the park some more, going slowly, noticing the small things (a cute snake! 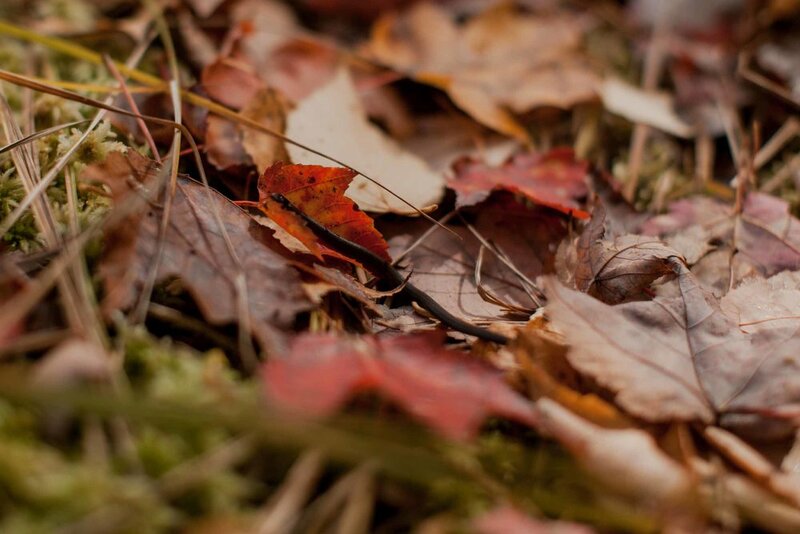 an inchworm! 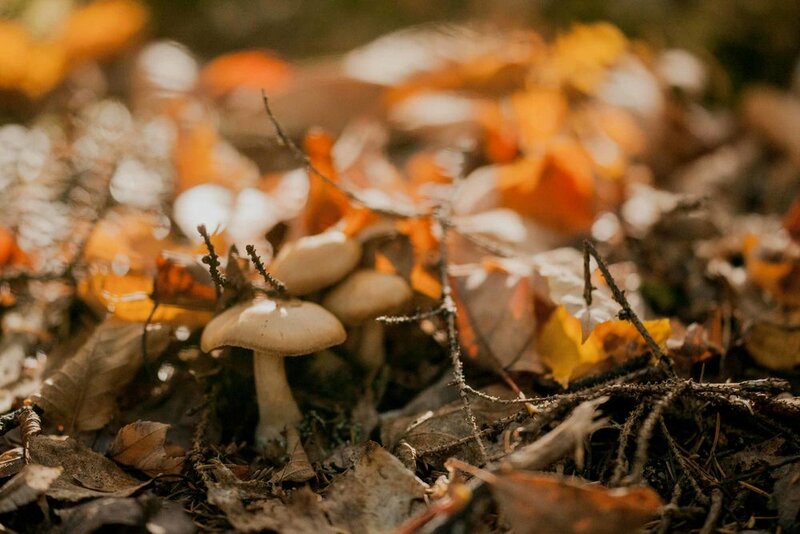 tiny mushrooms!) 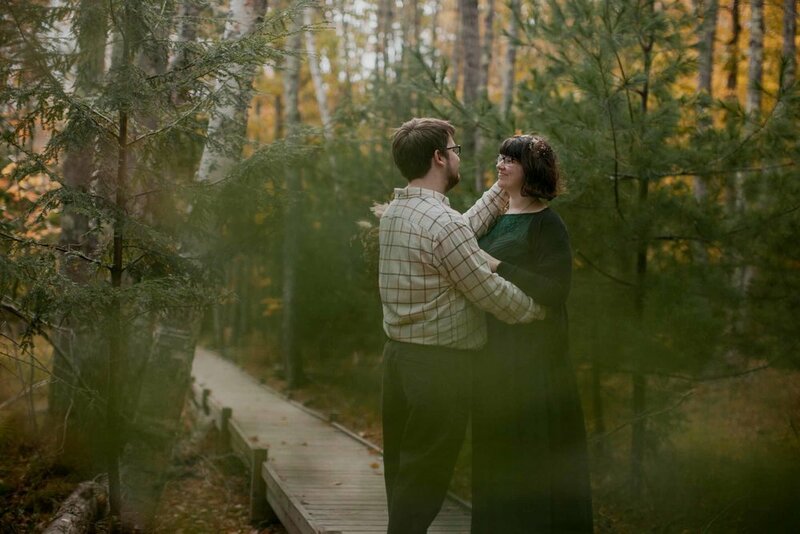 and enjoying each other’s company. 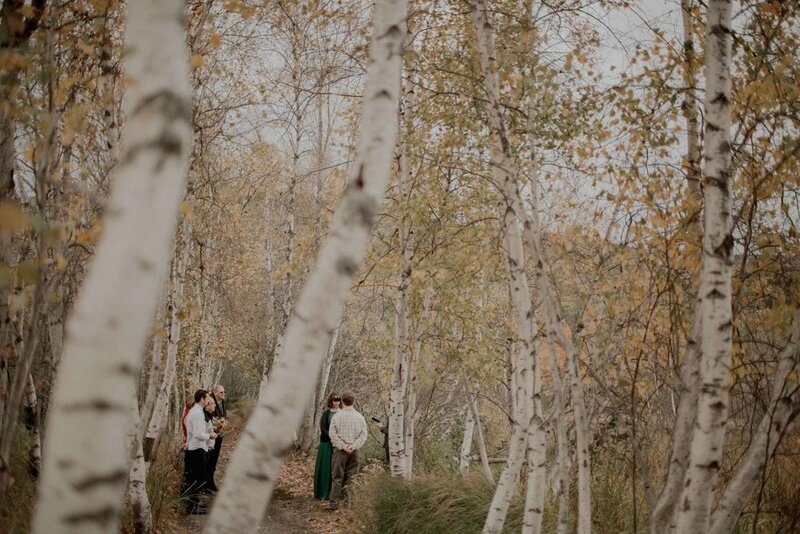 As artists they were extra thoughtful about the details of their day. 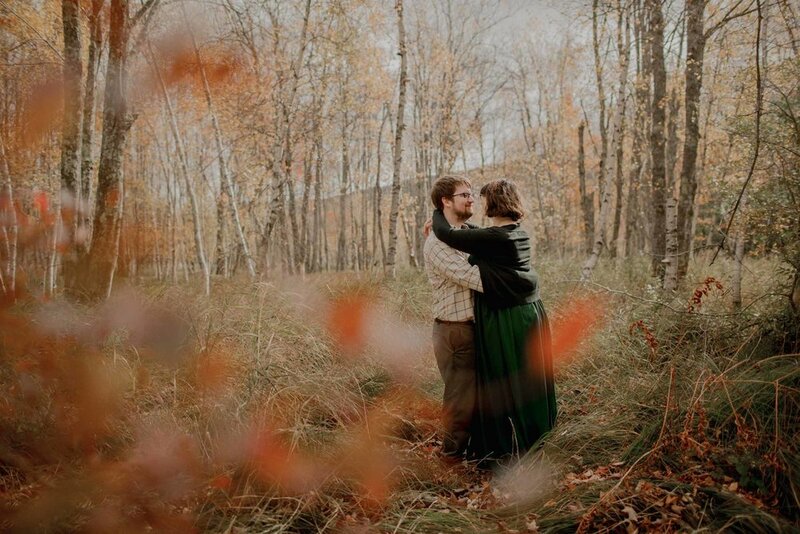 Links to those special items are at the bottom of this post. 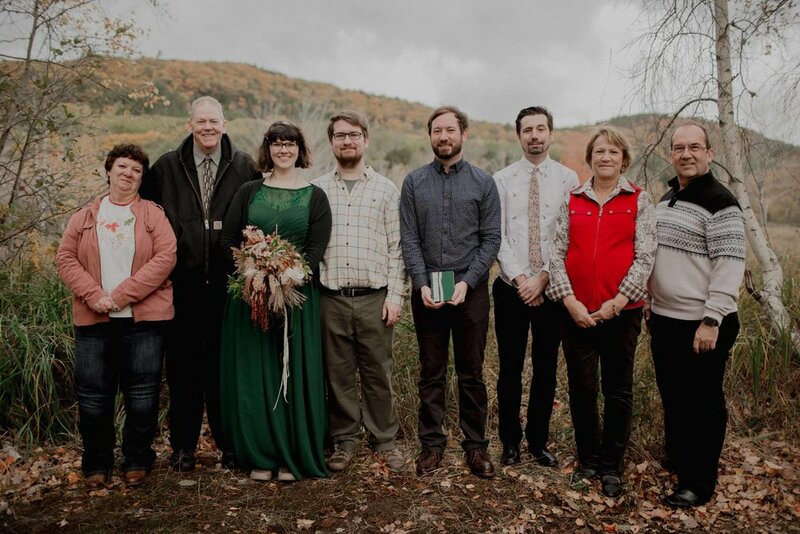 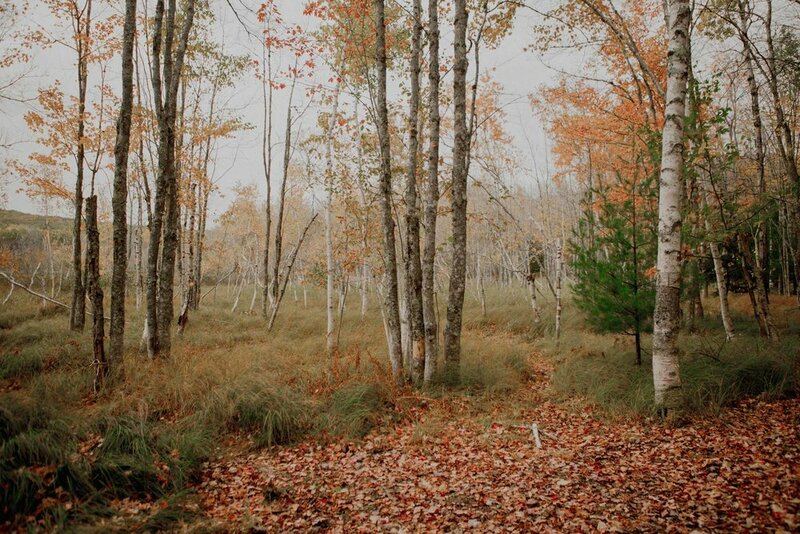 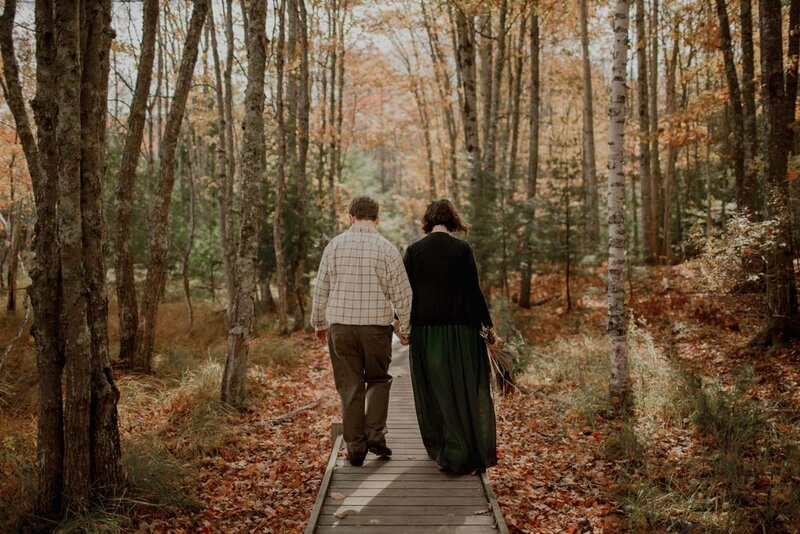 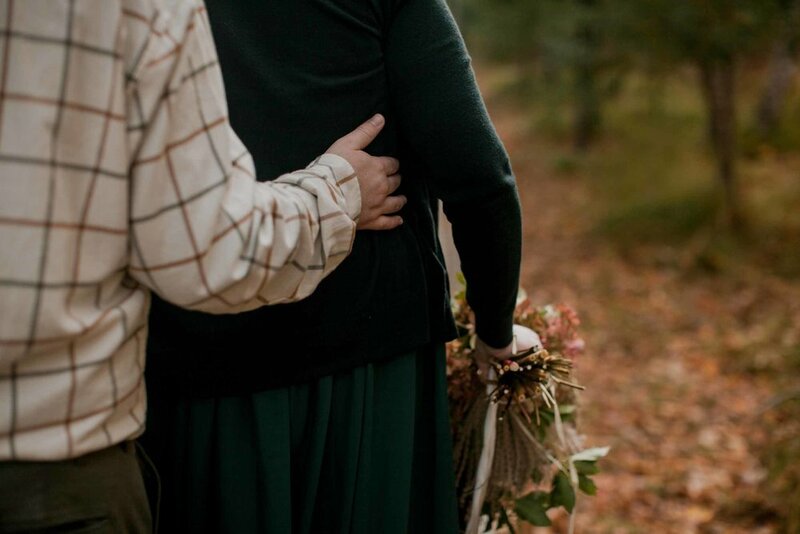 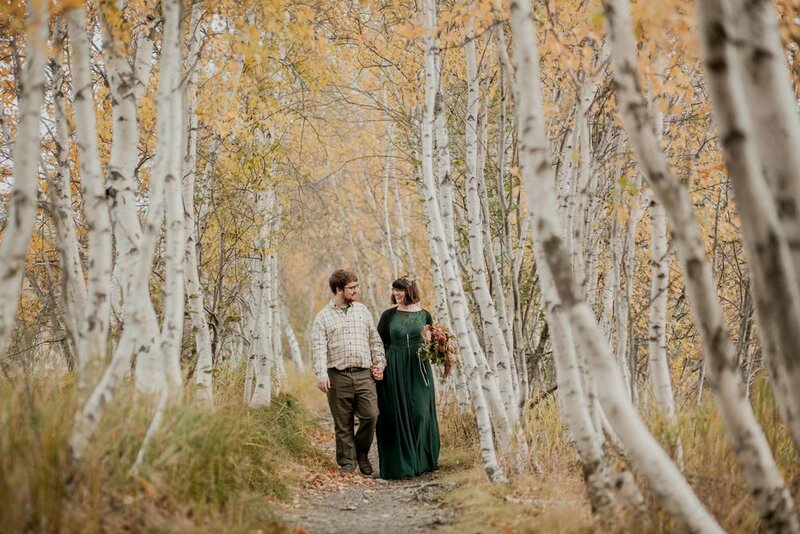 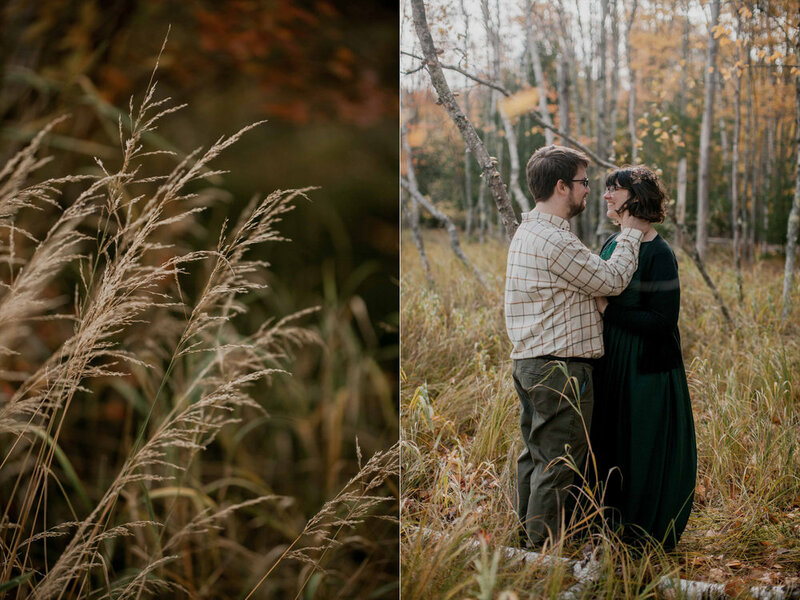 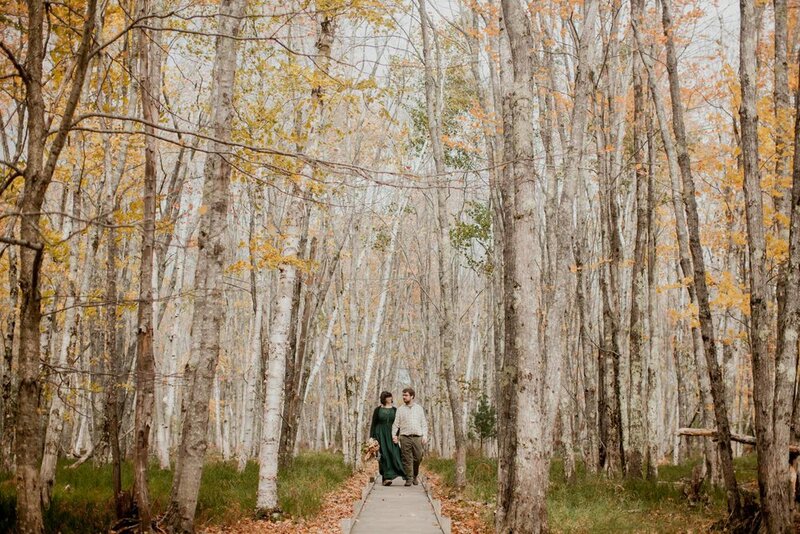 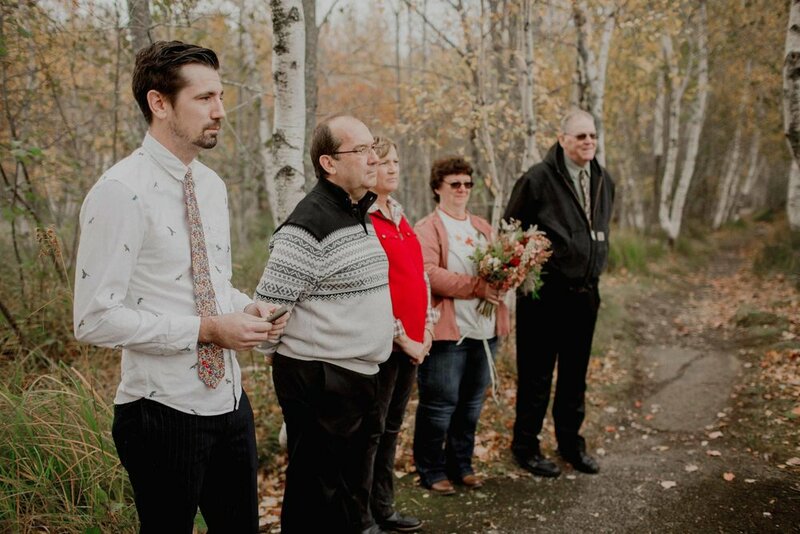 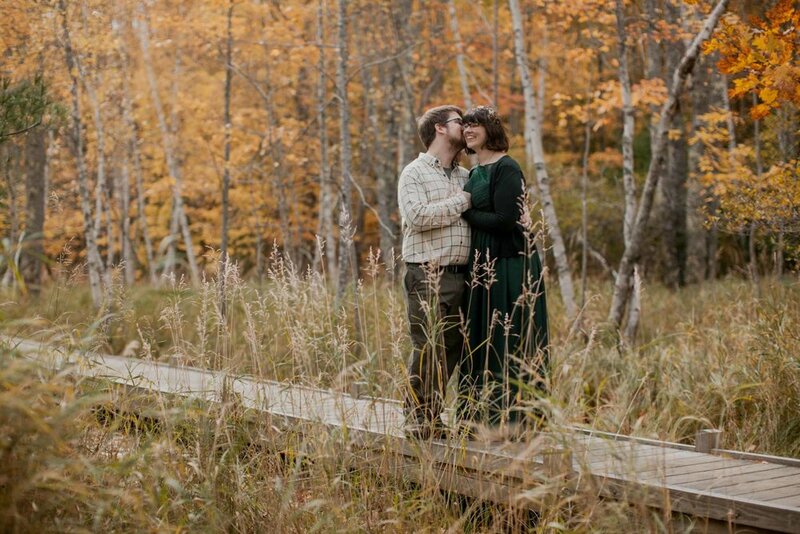 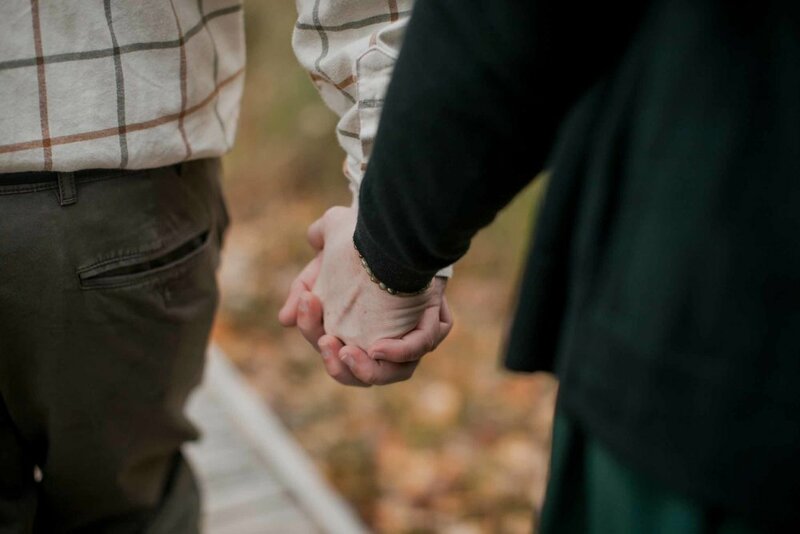 I really couldn’t have imagined a more perfect, sweet, intimate, nature-filled October elopement than this.